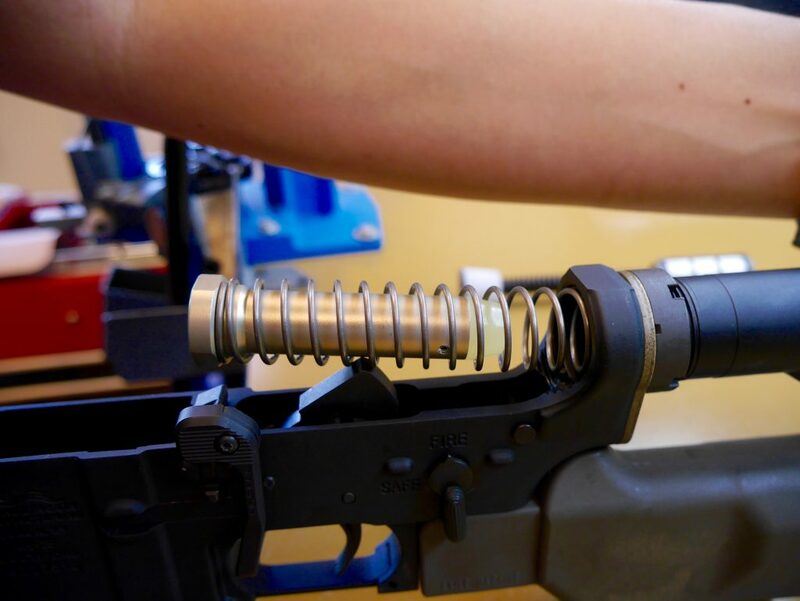 The JP Silent Captured Spring is one of the best upgrades you can make to your AR-15 platform after a trigger. It eliminates the springy sound of the regular buffer tube assembly and drastically reduces recoil and sight movement. 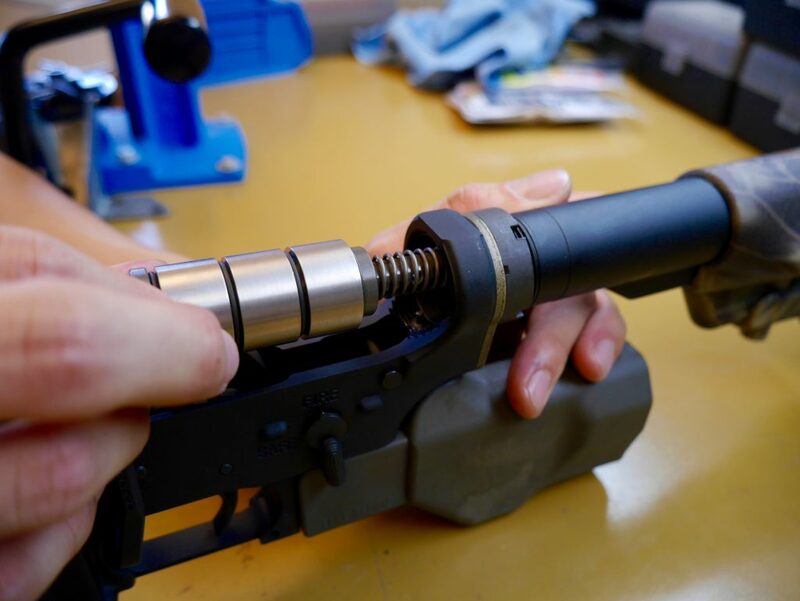 When you couple it with a light BCG and a tuned gas block, it can make your rifle 3-gun competition ready, but make sure to get it with the extra springs for extra customization. Screwdriver or Punch: Just to depress the buffer retainer. 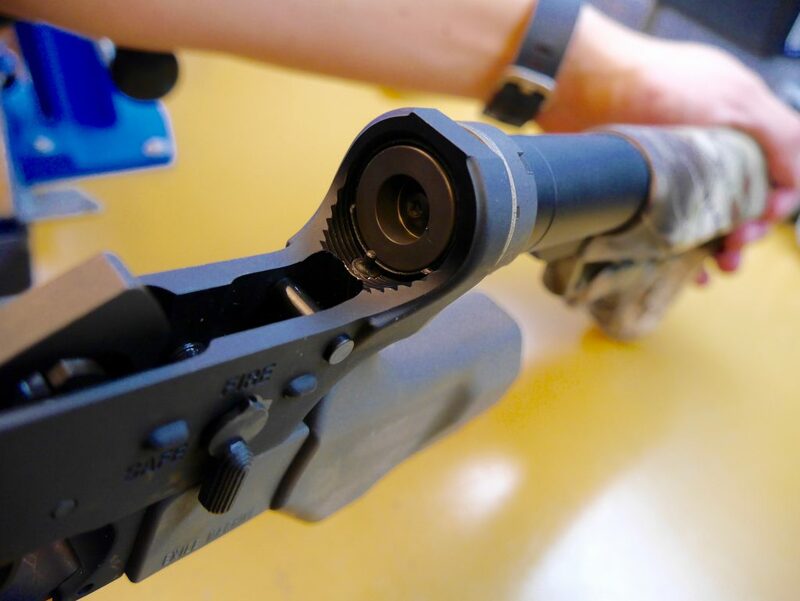 Make sure your rifle is unloaded and take apart the upper from the lower. We’ll only need the lower for this mod. 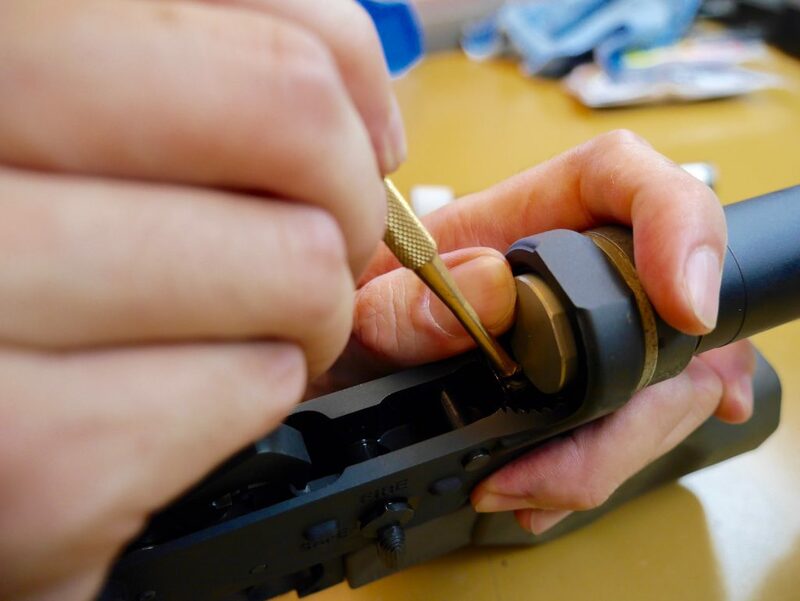 Remove the stock spring and buffer by pressing down on the buffer retainer with something. The buffer will jump out a little before one of the coils of the spring gets stuck on the buffer retainer. But still, watch out. Slide in the JP like shown above. It should retain nicely. Shake it around and see if there’s in/out movement. I found that I had some so I put in one quarter like in their instructions. The rattle went away and everything runs smoothly. The kit also comes with a white plastic block if you’re using a rifle length buffer tube instead of the carbine shown. Any update on the buffer spring tuning? I am about to build a 8.3 in barrel .300 blk AR with this spring, a lightweight titanium BCG, and the SA adjustable gas block. Thanks for the reminder John! I did have to buy the extra pack of springs (so it’s better to get it as the combo pack first) and I ended up using the lightest one so that it would hold bolt open. My barrel was 16″ mid-length though.